Is there a more beautiful story for a child - than the story of the world? Ever since my twins were born in July 2007, I've considered telling them this ultimate story, but I wasn't sure how to start and from where. Finally, I understood that it would have to come from a book. I knew it had to be a great read aloud, but that was clearly a tall order. A history of the world that reads like a children's story? Clearly, there couldn't be a book that fits the bill. If you want to tell the story of the world to your child, what you need is a book that will fan the flames of the fire for learning - as you read it aloud. You do not need a comprehensive Bore-me-to-death-paedia. So, Read Aloud Dad set off on one of his adventures to find THE ultimate read aloud book to initiate children in the story of human life on our planet. And I am happy to report that I found it in 2010. Gombrich's A Little History of The World. And did I settle on one copy of this book? I bought another copy of the same book from the same author. In 2012, I bought the illustrated one. 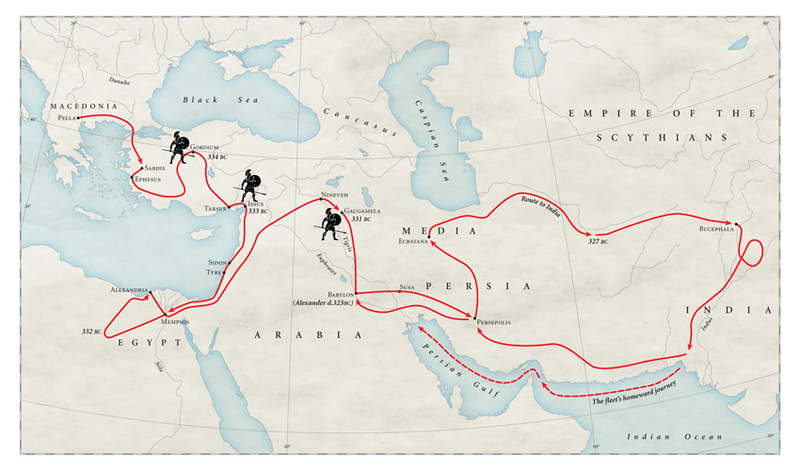 An illustrated edition of A Little History of The World. Don't get me wrong, the first one was great. The true unabridged Gombrich published by Yale University Press. Yet, it has a smaller font and size and it is not so well-suited for reading aloud as the illustrated edition. However, there was no talk of an illustrated edition in the making back in 2010 - so I was as happy as I could be. 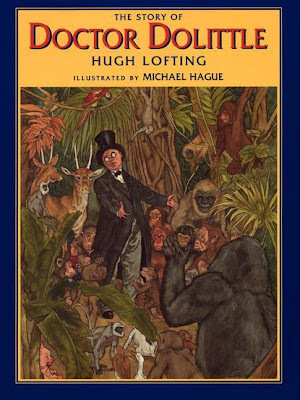 But when I found out that Yale University Press issued an illustrated edition in 2011, I knew that I was about to make one of my best children's book purchases ever. The illustrated edition offers freshly drawn maps, a revised preface and most importantly, two hundred illustrations (most of them in full colour). These beautiful new images enrich Grombrich’s text and enhance the pleasure of reading this remarkable work. Those who don't know history are destined to repeat it. One of the hardest thing for an author of a general history of the world for children is to set the right tone. It has to be perfect. Like a story-teller, not a preacher. Gombrich, who is best known as an art historian (and for his popular The Story of Art history of art, now in its 16th edition), has done just that in this 284-page book for children. He is an enthusiastic story teller. This feat is even more remarkable when you take into account the circumstances under which he wrote it. After finishing his doctoral studies in art history at the University of Vienna, Gombrich found himself unemployed and facing bleak prospects for a professional career. An acquaintance who worked in the publishing world asked Gombrich whether he could translate an English history for children into the German language with the plan of publishing the translation. The book was sent to Vienna by a mutual friend who studied medicine in the United Kingdom. 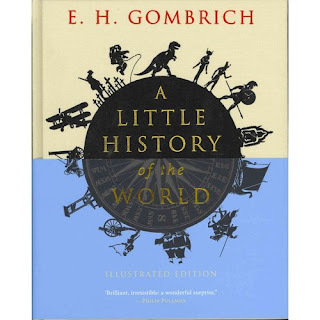 Gombrich was so disappointed with the world history book from England that he informed his publisher friend Walter Neurath that it was a project that was not worth the effort. "I think that I could write a better one myself," Gombrich stated. So Neurath offered Gombrich the job of writing the book, under the condition that the book must be completed in a short time frame. I know what you are thinking right now. "All right, Read Aloud Dad," its all nice and dandy, but how can a book from 1935 be so worthy? Well, it is a fantastic book - simply written to be read aloud to children. It is heavy on the classical eras and provides a great insight into the past that our modern civilization is based upon. I know. now you must be thinking: "Is it a boring read and completely outdated for today's kids?" 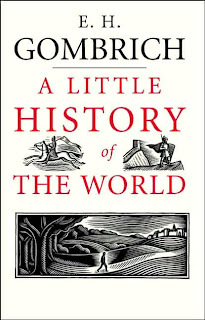 First of all, A Little History of the World was revised extensively by Gombrich himself towards the end of his life. Second, the ultimate test of the book is how the text flows and that is were this book reigns supreme. To quote Philip Pullman, this book is "Brilliant, irresistible and a wonderful surprise". Becky on her Farm School blog does a great job of explaining how Gombrich approaches the big unavoidable issues in histories, such as religion, human cruelty and violence. Yes, it is a book written for children. Not for children in Austria. For children around the world. This book is a perfect read-aloud experience and I simply had to have it! I know, the first page of a book is hardly enough to make a judgement, so below in the linked book excerpt you can get a glimpse into the first chapter and the contents of the book. There is information about the content of all 40 chapters, which will give you a precise feeling for Gombrich's focus. The last chapter was written after World War II and it deals in a delicate manner with the events of WW2, taking into account that this is a book written for younger readers (listeners). This book, as any history book will have its flaws. This one probably many more flaws than some modern books. I will be the first one to admit that it is primarily Euro-centric (less focus on Africa, for example) and it clearly has an 'old world bias'. But, keep in mind that for children, what counts is a book that drags children into the story of the world and then allows them to pursue further interests. When looking for a read-aloud history of the world, look for a spark that can ignite a fire, not for a full-blown forest fire. Gombrich himself explained in another edition, "I want to stress that this book is not, and never was, intended to replace any textbooks of history that may serve a very different purpose at school. I would like my readers to relax, and to follow the story without having to take notes or to memorize names and dates. In fact, I promise that I shall not examine them on what they have read." You want to start with a history book, not end with it. I can't wait to start reading this book to my kids one day. "When will I start?," you ask. I don't know exactly. I know I will recognize the right moment. When I hear them ask me the first time "Dad, how did the world start?" This book is becoming a favorite in our household. I found this book at the library, I had no idea that there was an illustrated edition. Thank you for sharing. I would never have tried this book with kids. Thank goodness I read your blog! What a great way to teach them history! I am so happy to hear about your positive experience with Gombrich's little masterpiece! It is a great introduction to the history of the world for starry-eyed kids (aren't they all starry eyed?). The illustrated edition is exactly what the book needs to make it even more approachable to a wider circle of kids and parents! Thanks for sharing your family's experiences! I'm sure your kids will enjoy it, This is THE history that I would have loved to hear as a kid. History as a story, not just a pile of events and dates that follow each other in close succession. Have fun with Gombrich - he is a fun read indeed! Thanks for the reco. I have had that question a few times from two of my three shorties and would relish this approach to answering it. Love your blog. Just happened upon it via one of my faves Vintage Kids Books My Kid Loves/Bergin and have bookmarked you! You are most welcome Mary - and thank you so much for your kind words! It is indeed a worthy book and one of the most treasured additions to our home library. It makes learning about history a beautiful experience, something what every parent could only dream of. Burgin's Vintage Kids Books My Kid Loves is a one of a kind blog! Fantastic! Thanks for another great recommendation Read Aloud Dad. There is also The Story of the World series (4 parts) by Susan Bauer Wise. These books are designed for homeschooling families but are also great for reading aloud although they are barely illustrated (pencil sketchings). You can also purchase a separate activity book to go with the main text and an audio reading on CD. I have the first part (The Ancient World) and love it but I think my child is too young for it at the moment. Need to try this one as it may be simpler and hold attention more with the illustrations. You are most welcome. 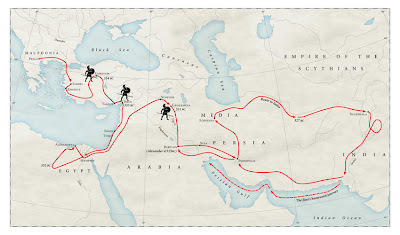 Indeed, I've heard a lot about SBW's four-part series The Story of the World: History for the Classical Child ( http://amzn.to/SmVutC ). Alas, I've never held a copy in my hands. But any such book that is designed for reading aloud is a great idea in my book! I'd love to hear your thoughts after you compare the two books! Sold! I clicked on your link and ordered it from Amazon about it a week ago. Looks like it will be delivered tomorrow! Woo hoo! Very excited. Thank you for the recommendation. I homeschool my 5 year old and 9 year old, and we love history. I know this will be a valued addition to our library. I missed you last year, Read Aloud Dad. I'm glad you're back to blogging. I always enjoy and appreciate your posts. I am sure your kids will enjoy the story of the world as retold by Ernst Gombrich. It is a great story of mankind foremost - not a bunch of random facts that need to be memorized. Glad to be reminded of this thanks to your contribution to this month's round up! You are welcome - I was happy to find your month's round-up. Great idea to assemble different kidlit sources on the ancient civilizations!